Ikea, making us believe that their new fruit waters are healthier than their sugary fizzy drinks, because they contain 50% less sugar. Meanwhile across the channel, a chef has had enough and is campaigning for a tax on sugary drinks – all sugary drinks, even the ones with 50% less sugar. I thought the press might be all over this, I thought it would explode on health blogs and yet… all remained quiet. As I am getting ready to attend a food symposium in the UK with the theme ‘Food and Communication‘ I found it fitting to have a rant about how this communication by IKEA* is misleading us all. From september 2015 they will ban all sugary fizzy drinks from their restaurants. That’s the headline and that’s the lie. Proudly they are replacing their imitation Pepsi and 7up with more healthy fruit waters which contain only half the sugar. Half the sugar. That’s still too much sugar. 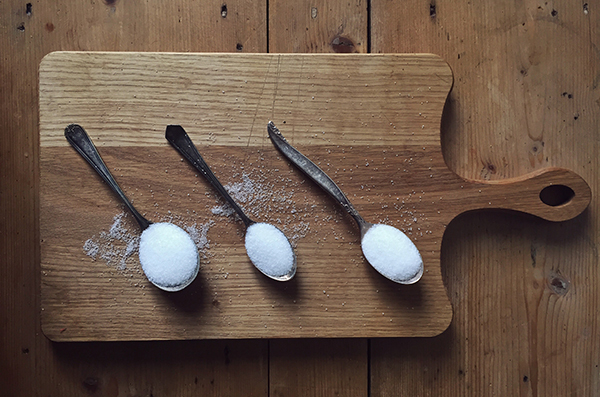 The World health organisation (WHO) say that we ideally should be consuming no more than 6 teaspoons of sugar a day. **Regular fizzy drinks contain up to 6 teaspoons per 330ml serving. That’s your daily sugar intake in one glass of sweet drink. That is bad. So if IKEA’s fruit water contains ‘only’ half the amount of sugar of your average fizzy drink – it still contains about a whopping **3 teaspoons of sugar. When having one glass of IKEA fruit water means you have consumed half the daily recommended amount of sugar. And you know what? They offer FREE REFILLS! So you can have more! The communication to the world is that IKEA is trying to get a more healthy reputation… I think they are misleading the consumer with it. Firstly their fruit waters aren’t healthy, nor are they more healthy because they contain ‘only’ 50% the amount of a regular pop per serving. Secondly they are motivating people to refill their cup at self service machines, so people can have another 3 teaspoons of sugar diluted in water with natural flavourings. 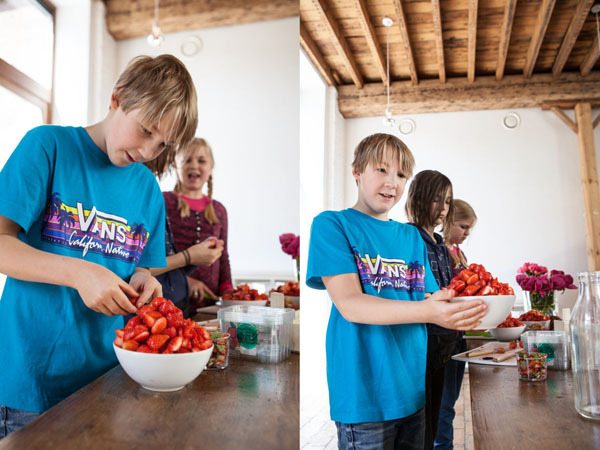 Serve water with real fruit, just fruit – no added sugar, no added colourings. Fill a jug or a barrel with water, just water, and just toss in sliced cucumbers, apples, strawberries or whatever fruit. Then and only then you have FRUIT WATER, and not fizzy drink with natural fruit flavours and only half the sugar. I understand that this would make your system of free refills at a machine impossible, but I think we are outgrowing the machines and are yearning for human contact again. Then and only then will you be making the change you are shouting about right now. Then and only then will you be truthful with your customers. Right now, you are contributing to a world-wide problem of children and adults being overweight due to an extreme sugar intake. All because people buy foods and drinks which are low in sugar, to then consume double. The contrast with another news item this month is stark. Jamie Oliver is making good of his crusade to tax sugary drinks and is putting a surcharge on sugary drinks in his restaurants. The money from the surcharge will go to a charity that supports children’s health across Britain. Jamie Oliver says that he expects the surcharge to raise £80,000 over the next year. He will donate the money to Sustain, a charity that “support’s children’s health food initiatives across Britain. He told the Sunday Times: ‘I was born into the restaurant industry and I truly believe that by joining together on this issue we not only send a powerful and strong message to government but we also have the potential to make a longlasting legacy that could ripple across the world. ‘I’ve seen first-hand the heartbreaking effects that poor diet and too much sugar is having on our children’s health and futures. Young children are needing multiple teeth pulled out under general anaesthetic and one in three kids [is] now leaving primary school overweight or obese. Quite a different story from, we’re cutting down on sugar but you can still go for a refill so you can have all the sugar you want. What Jamie Oliver is doing is being honest about the fact that the sugary drinks on his menu aren’t healthy. And by adding an explanation to why he is adding the surcharge he is educating people rather than trying to ban the sugary drinks all at once. Banning something will only make people want it more, but telling them about the dangers of excess sugar intake will maybe make people want to give up, or reduce their consumption of sugary drinks. What Ikea does is claiming their sugary drinks are healthy, and that is where they go wrong. *This post is about IKEA BELGIUM, I have no idea what the situation is in other countries. ** I do not know how many teaspoons of sugar their fizzy drinks contained so used an average quantity. I will of course alter the numbers if they become known to me. Apologies to my readers for going off-topic on this blog, but I truly believe you can’t be a foodie without being a food activist. Today is Food Revolution Day, the day on which we come together from all over the world to pull on the same end of the rope. 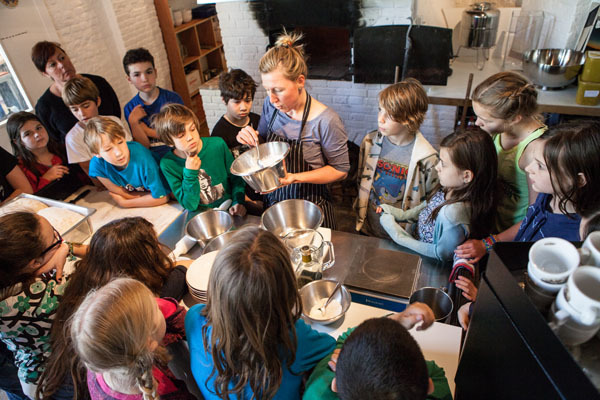 A better future for our children is what is aimed at here, and better food education will bring that. At a time when 42 million children under the age of five alone are overweight, we need to take action against this enormous epidemic. 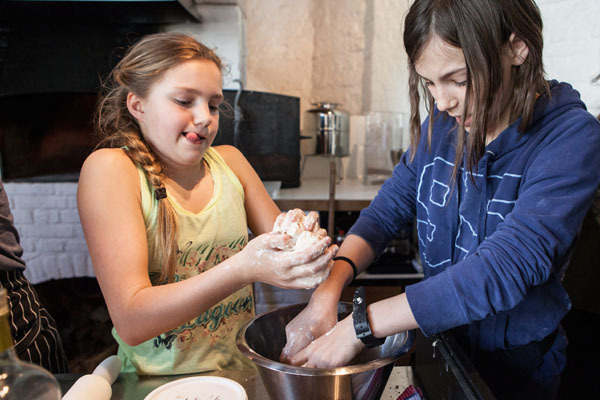 In the olden days when the girls were supposed to marry to spend their lives cooking and cleaning for their husbands, girls were taught their skills in school and from their mothers. Today luckily us ladies aren’t chained to the stove and washing basket anymore, but with our emancipation, slowly domestic housekeeping lessons disappeared from the schools. So many people don’t know how to cook from scratch because they weren’t taught the basic skills to make a meal. 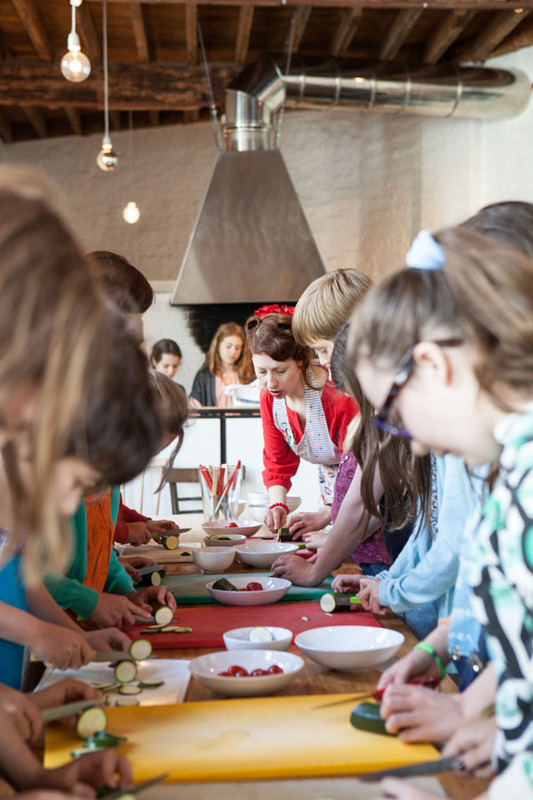 It is of vital importance that cooking skills, and even growing food is put back on the schools learning plans. With a growing world population, we need to reduce food waste, and to do this, we need to cook more and learn how to deal with leftovers. It might seem so straight forward to you, whipping up an easy dinner after work, but for so many people out there it is a daily struggle. Those trying to survive on a tight budget have it even worse when they don’t know how to cook. I can always make a meal, it might be a strange dish sometimes, but it is always tasty. You tend to take that skill for granted. I know I did, it is only when you talk to someone who really can’t cook that you understand that cooking is often a talent you’re born with but others need to learn it. I learned from Jamie’s Naked Chef Series because my mum wasn’t really the type to teach you how to cook, she had a tendency to overcook things, or downright burn them to their second death. My husband can’t cook either. When we were ‘courting’ he made me a pasta dish with grated carrots which he had heated up in yoghurt. Not the luscious thick strained Greek style yoghurt, natural sour pungent yoghurt. It was one of the most vile things I’ve ever had to swallow. He thought so too and luckily I didn’t have to finish the plate to be polite but how the hell could he have cooked that? Well, he followed a recipe. He doesn’t use it intuitive nature because he doesn’t know what he is doing. If he would have cooked from his heart, he would have made an entirely different dish. Like his eggs, he can cook a mean egg. But it isn’t simple, not for everyone. 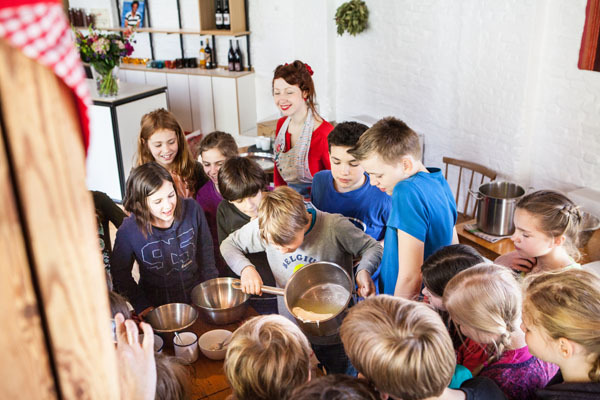 So teaching children to cook, teaching them about how food production – farming – works and maybe even re-introducing school gardens, might just save out future generations. Education, education, education. It is the answer to everything. Take care for now, and think about your food consumption today, learn someone something about food, think of where your meat comes from, your fish, your poultry, your eggs, … Think about it, share your thoughts, get conversations going. 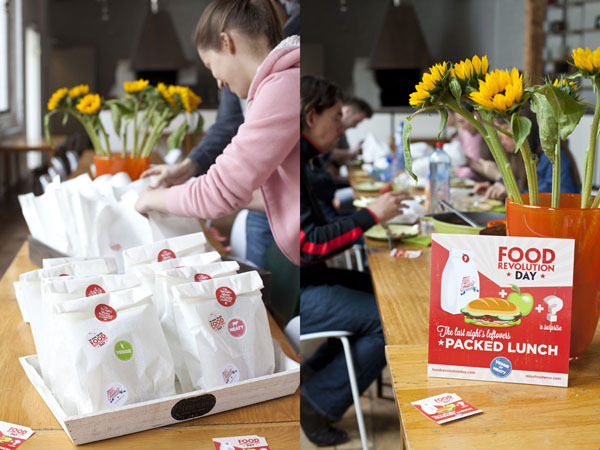 Enjoy some pictures of my past Food Revolution Events! Fishing in a traditional and sustainable way, is decaying and it is becoming increasingly harder to make a living from a small fishing boat. 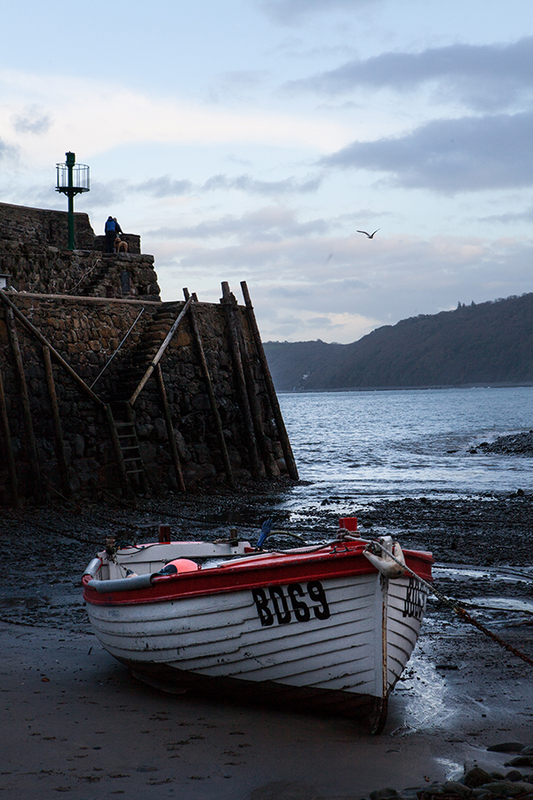 In November I visited my friend Stephen Perham, the last of the Clovelly Herring men. 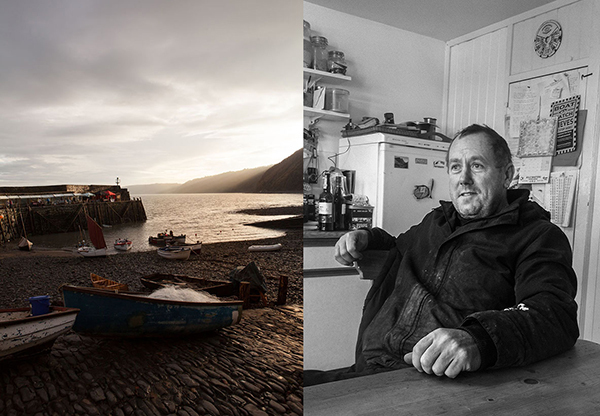 Also the Clovelly Harbourmaster, he is the only fisherman still living in the village and the only one who sells his catch. One of the very few others is Tommy who is Stephen’s brother, but he doesn’t live in the village anymore. He is the last of the herring men of Clovelly, the last link between the old and the new; he is the one who keeps all those long lost souls alive, the keeper of hundreds of years of memories.Even when visiting the local pub in Clovelly, we find a lingering echo of Stephen and Tommy’s ancestors. 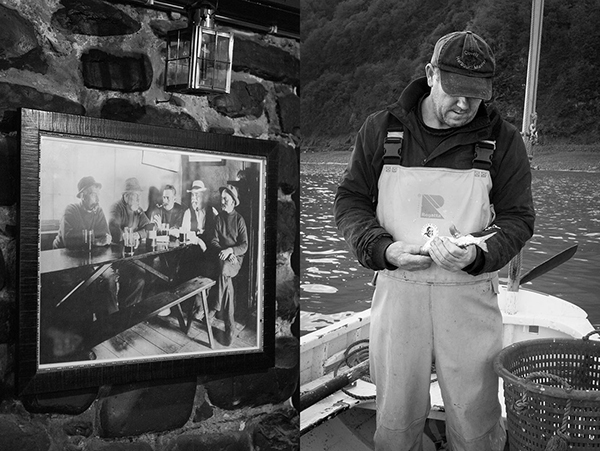 The pictures on the wall of the snug bar tell the story of a Clovelly long gone, of fishermen gathering around the table smoking pipes and pictures of the most beloved wooden boats, of which only a few still remain in the harbour. 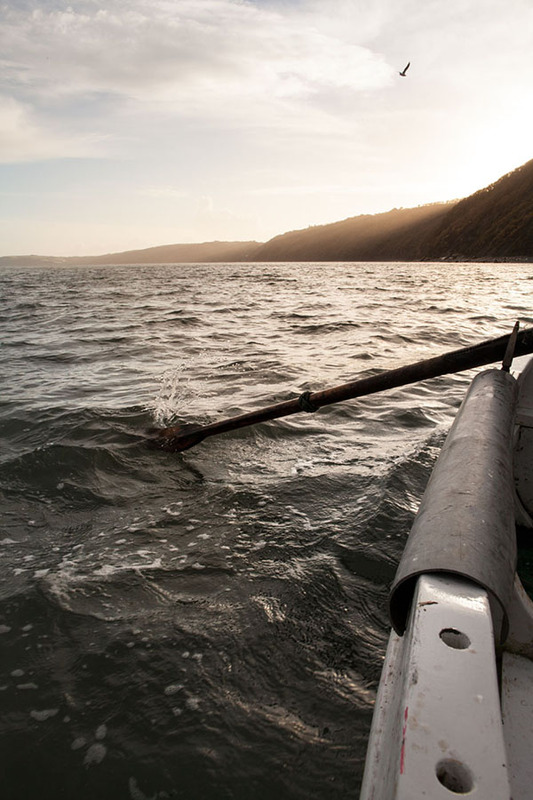 These boats are unique to Clovelly and built to get out to sea faster than the larger boats when the herring arrives. 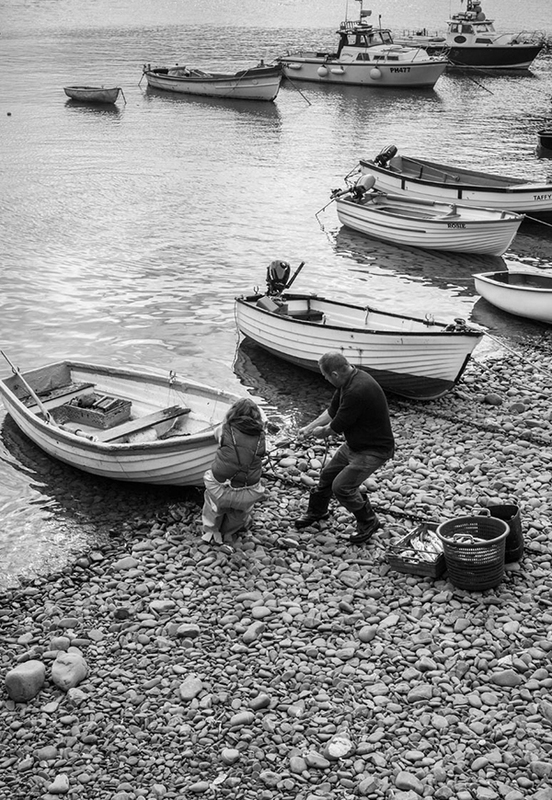 Clovelly as a community, like many other similar coastal villages, once depended on the herring trade. 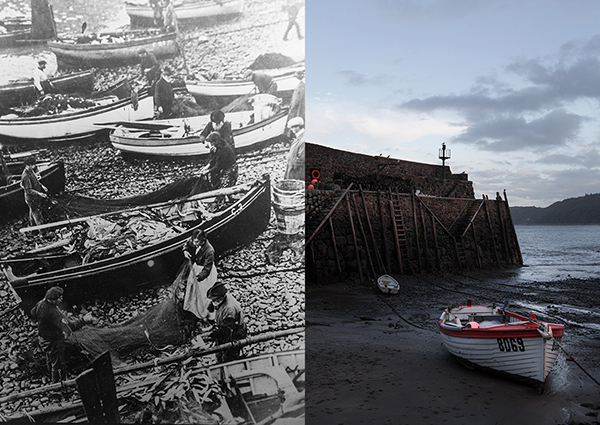 Records show that two hundred years ago there were a hundred herring boats in the harbour with amounts around nine thousand herrings or ‘Silver Darlings’ brought in from sea. 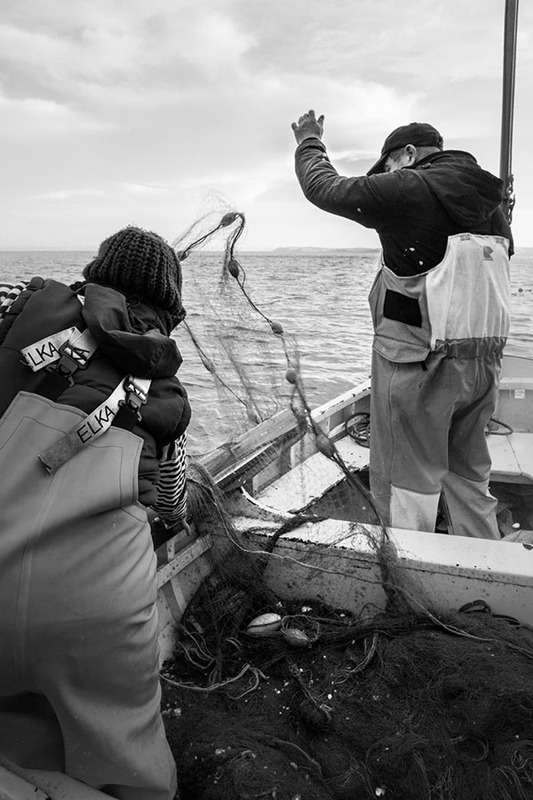 The days of the large herring fleet are long gone and today there are just a few fishermen who still go out for the herring, using sustainable fishing methods with drift nets. Meeting Stephen, you immediately understand why the town’s herring festival each november isn’t just another food festival – it is a celebration of tradition and heritage, his heritage. 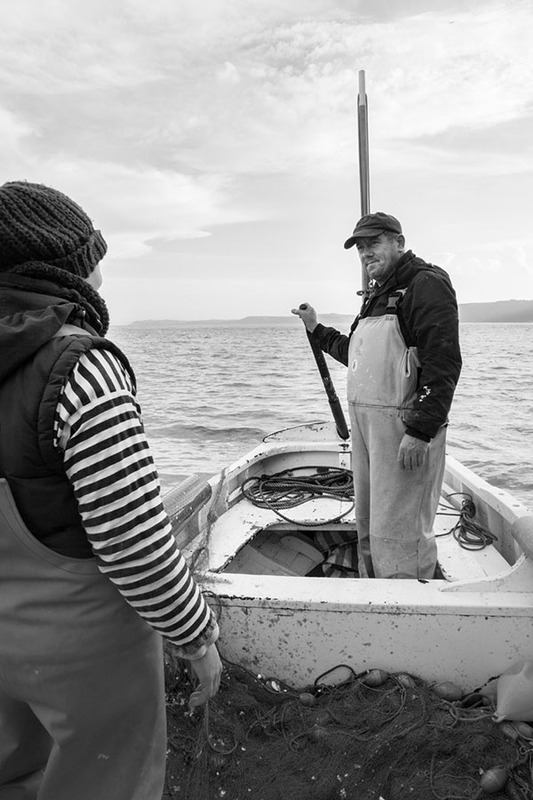 Stephen is a 6th generation Clovelly herring fisherman, and with him and his brother, sadly, the line is very likely to end. This proud and gentle-natured fisherman is the essence of this little village; he and his family represent the past and the future. He knows all the stories – where which boat got shipwrecked and who survived or was lost to the sea. He can read the waves, the sky and the sound that the rain makes when it hits the water. 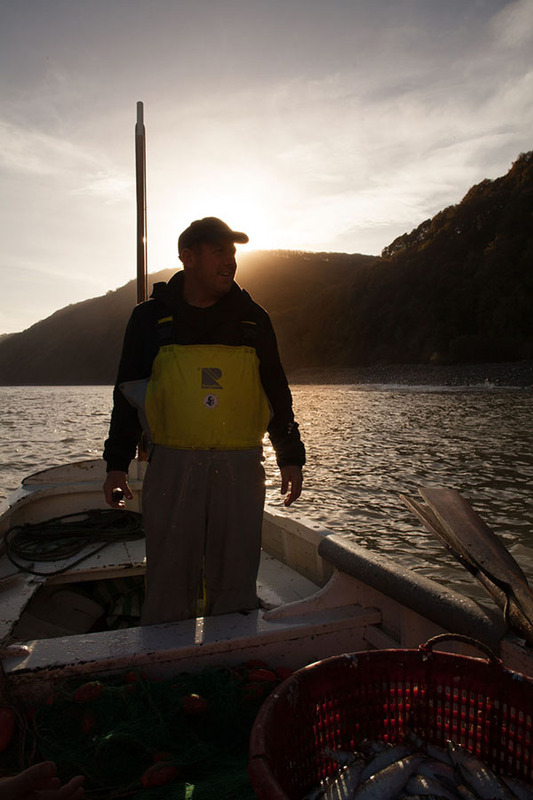 Fishing is in his blood, and fishing for herring is his passion as it has been associated with his family and this little village for centuries. As harbourmaster and the last full-time fisherman in the village, he knows where every boat is at any given moment and, although it is hard to sell herring these days -it is now a fish which is unjustifiably out of fashion- he continues to go out for herring because it is what he genuinely loves to do. The fish he doesn’t sell, or eat himself, he salts down in barrels to use as bait. In the summer months he goes out to sea for lobster and crabs. To do this he needs bait, and the herring provides that. He needs a dozen barrels to get through the summer and with the number of herring being so plentiful, he usually only goes out for herring once or twice a week to fulfil orders after the herring festival ends. Life by the sea was so different in the old days; nearly all the men in the village were employed in herring fishing up until the 20th century. In the past, fishermen had to move away from their beloved little coastal town with its steep hills and cobbled lanes during the summer when there was no herring to be caught. They would work on the Royal Yachts further away but by the time the herring returned to these pebbled shores they would be home. The season of the Silver Darling runs from Michaelmas to Christmas and that’s why for Stephen “herring means Christmas”. It’s the build-up to Christmas, his favourite time of the year. He says once you get to Christmas it is all about the food, the puddings and the cakes. This fisherman loves to cook. Left: The large herring fleet of the past. Right: One of the last of the fleet today. His passion for herring and the traditional methods of catching them made him think about how he could try and put herring back on the map. 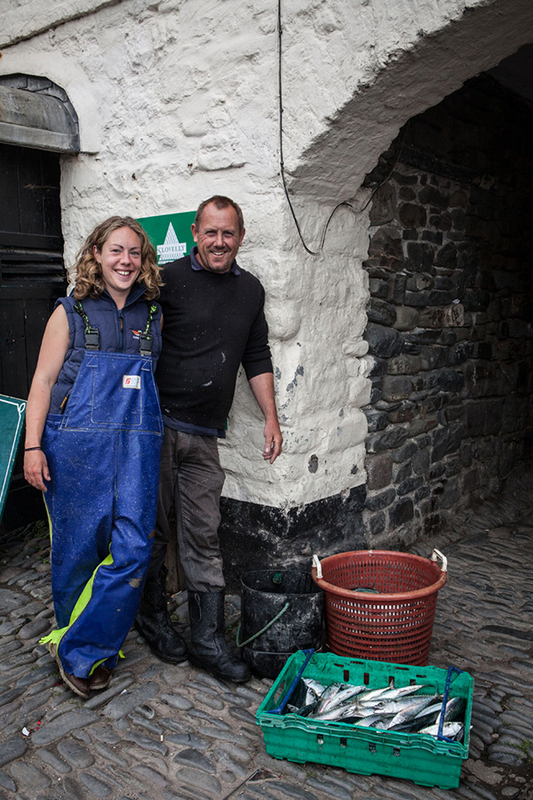 The Clovelly Herring Festival was originally the brainchild of Stephen, Bob Rouse and Sue Haworth, who both work for Clovelly Estate, and the author of the well acclaimed book about the history of herring fishing, Mike Smylie. Smylie, as a maritime historian, has done a great deal for the fishing industry, and the herring industry in particular, trying to record the traditions of a dying industry that for years had fed the nation. He and Stephen met when BBC Radio 4 introduced the two in a program about Smylie’s herring book and they have been friends ever since. Mike Smylie comes down to the Herring Festival each year with his self-made herring smoker, which looks like an old outdoor loo. He believes that people went off smoked herring due to the usage of artificial dyes to speed up the smoking process of kippers during WW2. It is also a rather sad fact that people have become so used to buying ready filleted fish that they have lost the knowledge of either boning a fish or even just eating it straight from a hot pan from the bone. Herring contains a larger bone and tiny little long bones which you can actually just eat. These little harmless bones had provided the people with much needed extra calcium in the past. Joy goes out to sea with Stephen whenever she can. Herring was plentiful until stocks collapsed in the 1970s. Smoking herring into kippers or salting it down in barrels, either for bait or consumption, had always been the most common way the herring was processed. That way it could be kept for longer and transported further inland. As herring was a main food source it became a staple during the war. The ‘herring ban’ in 1976 caused the closure of the Celtic and the North Sea fisheries and it lasted until 1983. 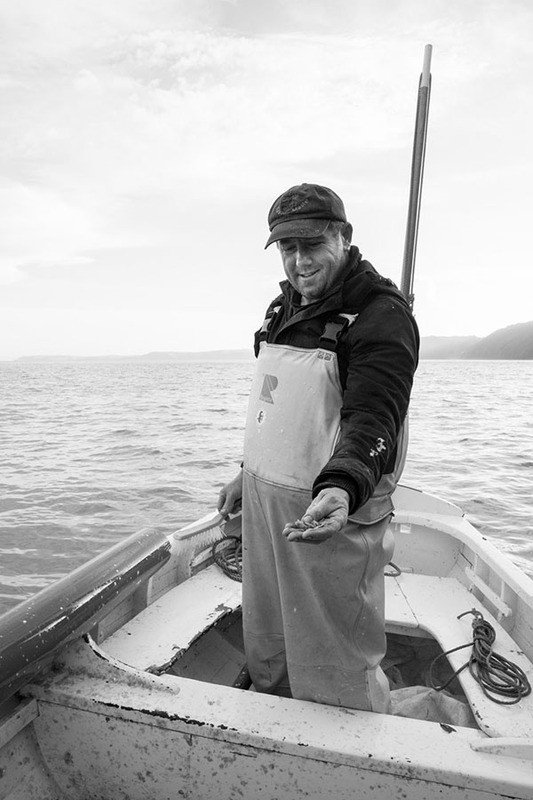 Stephen Perham and his brother Tommy were growing up during the herring ban and his father taught them the ropes of the trade by drawing diagrams in the salt of the windows of his house. Unfortunately their father died a year before the ban was lifted, but Stephen has been fishing for herring ever since. The extraordinary thing about Stephen’s method of fishing is that it hasn’t changed one bit from how his ancestors did it. The boat is still the same type of small 16 ft wooden ’Picarooner’ his forebears used, nicely painted white every year and finished off with a pretty red rim. The nets are also still the same design, although they are now made of nylon rather than cotton. The only thing that has really changed is the demand for this beautiful silver fish. The big markets like Brixham and Plymouth just aren’t interested in herring any more. Stephen shows me that the herring scales are everywhere. The boat looks like it is embellished. Luckily a food festival, like the Herring Festival in Clovelly, puts a healthy, oily fish like herring back in the spotlight and onto the menu. Not only does the food festival offer a number of stalls selling herring delights traditional and more exotic, there is fresh herring to take home, and there are also several stalls selling other local produce. I was on hand this year to help Stephen and Joy sell their lobster rolls, which we lovingly prepared that morning. Perham herring, which is how Stephen and Tommy call their beloved fish, was celebrated and enjoyed by many for this one whole day. But it should be on our plates more often.Rick Stein and Marco Pierre White have both come down to Clovelly in recent years to fight the corner of the herring. And it deserves saving. Clearly herring is a versatile fish; it is gorgeous fresh, but just as good smoked into kippers, simply baked in plenty of butter or cured into rollmops. A fish abundant and healthy, we should eat it more to support small scale fishermen who catch these little fish in a sustainable way and support carefully managed fishing. But, foremost, we should eat this fish because it is good for us. If there is one thing I’ve learnt on my few days with Stephen and Joy, it is the importance of heritage. 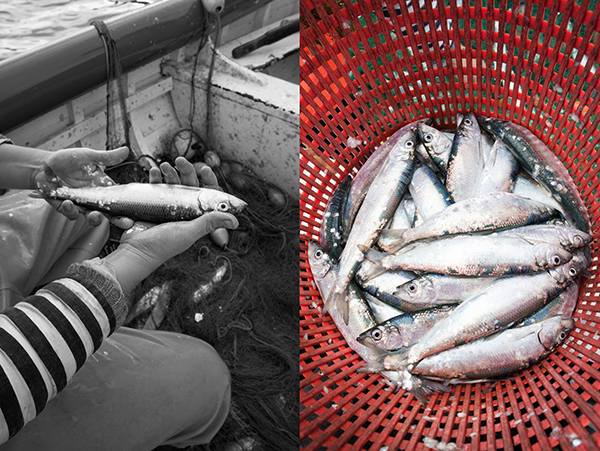 Traditional sustainable herring fishing is under threat to be lost. Fishermen have difficulties to sell their catch so have to try and find other ways to sustain themselves and their families, or move away from their villages and learn a different trade. Their quaint fishermen’s cottages are turned into holiday homes and their boats into flower beds. But Stephen is sure he isn’t the only one who’s at the end of a line of fishermen, there are other fishermen in other coastal villages who are also trying to hang on to a small scale sustainable method of fishing. His dream is to take to sea with the small wooden boat, he lovingly named ‘Little Lilly’ and visit those other fishermen, and write down their stories like I am writing down his today. For Stephen it is important that these old traditional methods, and the names of those who keep it alive, are noted down somewhere, so that they aren’t forgotten and lost. So that their heritage doesn’t rot away, like the old boats do on the beaches all round the British coast. I hope that Stephen can sell enough of his catch to go on his trip. Because it is an important work to write, and one I would love to read. When I was visiting them my friend Sassy and I also shot a little video when we went fishing for herring with them. I hope you’ll like it! 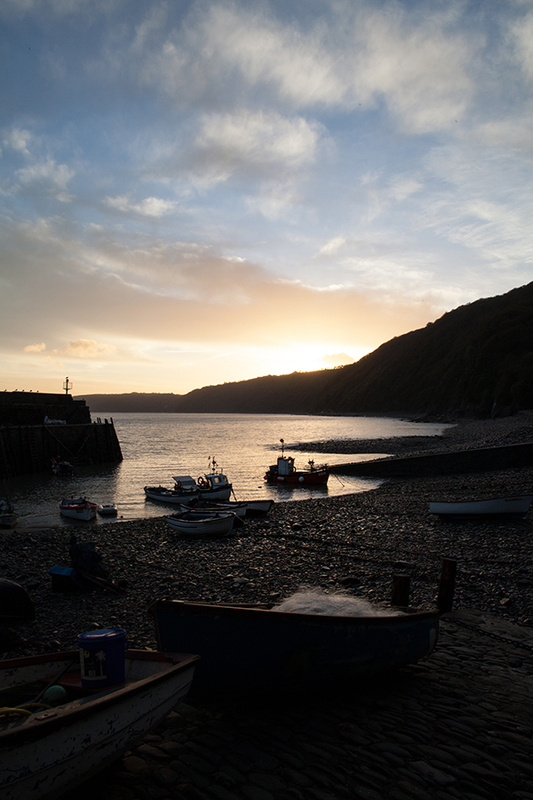 The Herring Festival takes place on the second Sunday of November each year, and is organised by the private owners of Clovelly village, the Clovelly Estate Company. Many people ask me if I come across weird and unappetising dishes in those old British cookery books I collect and devour. Of course there are always recipes in historical cookery books which might seem odd to us today, but I am quite sure if someone from the 18th century would come and visit us today, he would go home with as much stories about strange foods to tell his contemporaries. It’s all a difference in how we look at food, and how we approach it. For example, most of us only ever see meat, packed in plastic, neatly arranged in the supermarket shelves. Small independent butchers are disappearing on our streets and so is our connection to the animal that provides us with our much savoured sausage. Only last year a butcher shop in Suffolk was asked to remove his elaborate game displays from the window so children wouldn’t be upset by the sight of dead animals. Man has become disconnected and doesn’t think past the plastic surrounding the factory farmed meat. I don’t find eating the head of a pig weird at all, people in the past would have been happy to have it. But today it is seen as ‘medieval’ and not very appetising. I must confess I do not have a desire to eat a pigs head any time soon, but many have told me it is exquisite. I am talking about a Medieval dish with a name that might sound strange to us today, but only because we have given a different explanation to the word, or the word as evolved. Medieval dishes have always delighted me in their inventiveness, and elegance. A pure kind of cooking, with herbs and spices that give your tastebuds a whole other experience. In the 14th and 15th century the dish with the name ‘compost’ has been the term for any stewed mixture. A ‘composition’ of ingredients. This could have been meat, vegetables or fruit. The French term ‘compote’ very likely derives from the English ‘compost’ which later only meant stewed fruits. The name ‘Compost’ for a recipe can also be found in Flemish Medieval cookery books. To anyone, this dish must sound intriguing, especially as one would immediately think this was a recipe for creating the best compost to fertilise your veggie patch with. But no, the etymology of the word might be obscure, we are not making any kind of compost for the garden today. This recipe for ‘compost’ I am bringing to you today is made with chicken and green herbs, and spices. 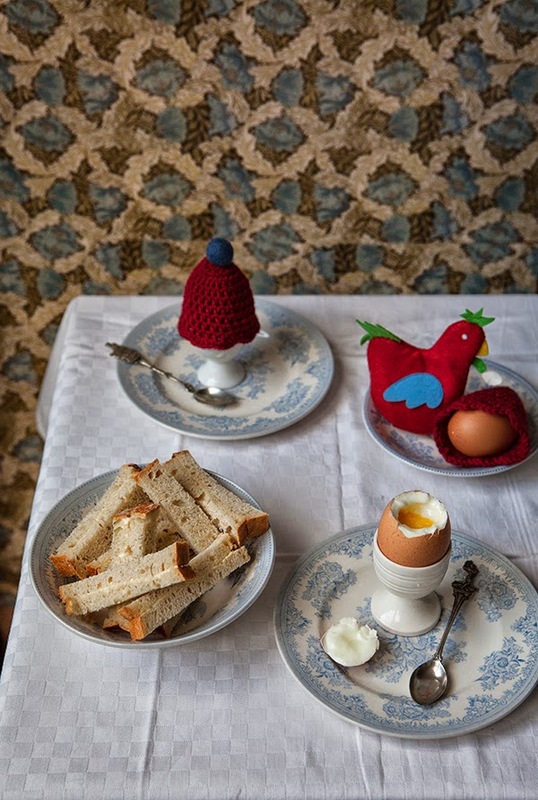 Another contemporary recipe is made with chickens and some of its offal. Herbs vary in recipes and another ‘compost’ is made exclusively from root vegetables, dried fruits and spices. They are all very clean and pure dishes. Chicken was always a noble type of meat on a banquet. It was considered more economical if a chicken was kept for her eggs. Killing off a chicken meant killing of your egg factory so chicken would be on the tables of those who could miss a bird, the elite. This dish is fantastic, it is so pure and simple, it is the kind of dish that just makes my heart skip a beat when I first have a little taste. The dish eats like a soup, and I like to add a nice slice of stale sourdough bread as a ‘sup’ – which was in the past frequently added to thicken the soup and give more substance. This ‘sup’ is also what gave us the term ‘supper’ later on in history. A ‘sup’ could also have been a piece of cake soaked in booze or sauce, the Italian word for trifle ‘Zuppa Inglese’ still gives shows us the link with the ‘sup’. To make it into an evening meal I added some new potatoes. This of course not ver Medieval as the potato was not known in the Middle Ages, but it is a lovely addition to this dish. New potatoes are a lovely addition to make it into a main dish, but not very Medieval. To mak composte tak chekins and halve them then tak saige parsly lekes and other good erbes and chop them small then tak a pint of hony and som of the erbes and lay in the botom of the pot and som of the chekyn then tak lard of pork smale mynced and lay it on and cast ther to pouder of guingere and canelle and boille it and serue it. I brown my chicken before stewing, this isn’t done in the original Medieval recipe, but I find it improves the flavour and the look of the dish, I leave my chicken whole, but you can cut it in half if you prefer. It might be so that the Medieval cook also browned the chicken, but recipes of that period weren’t complete as they were more often just aide-memoirs rather than clear instructions. What do you need – serves 4 or 2 very hungry people with leftovers, it is very good the next day. Preheat your oven to 160°C, you can do this just on the hob too, I just prefer to use the oven. Have a big pot ready, large enough so you can cover the whole chicken with water, but small enough so it fits snugly. In a frying pan, melt a generous knob of butter and brown your chicken slightly on each side. You just want some color, no crust or full browning. A medium flame on the hob is fine for this. Place half the herbs and leek on the base of your pot, place your chicken on top and add the rest of the herbs. Smear your chicken with the honey, doesn’t have to be neat. Fill the pot with water so the chicken is completely covered, add the spices and give it a stir. Bring to the boil and let it boil for 5-10 minutes without the lid. Close the lid and transfer to the oven (or leave on the hob on a small flame) for 45 minutes – 1 hour. Cooking time depends on the size of your chicken, and the quality, a free range slowly grown bird cooks faster than a factory farmed chick. The meat should just not be falling of the bone, so keep an eye on it on those last 15 minutes. Strain your broth using a colander or something similar, and take out your herbs and veg. Then, take the meat of the bones and place in the broth. Place some or all of the herbs and veg back into the broth if you like, I do, as I like to eat the whole thing. Have warmed soup plates ready and place a piece of bread in each of them, pour over the broth and give everyone some meat from the breast and some from the legs. Serving tip: some nice cooked new potatoes work well to make this a main dish. It is very strengthening and ideal for winter, or on chilly summer evenings. It is also very nurturing when you are unwell. I posted a picture on Instagram and Facebook of two loaves of bread I baked on wednesday. I was proud of them, they were beautiful, they were utterly perfect to me. I had scored the bread this time with little hesitation and fear it would ruin my loaf, and while it was baking in the oven, I watched trough the oven window in true British Bake Off style how my score cracked open and baked into my most proud bake in my life. Slightly embarrassed by my pride and joy I mentioned that to you the bread might seem plain, but to me they were special. The answer came in the form of that image becoming the most ever likes picture on my facebook and my instagram feed. You loved it too. Bread has been a staple since the beginning of time, it evolved from a flat, dense gritty loaf to the small bun sized wheat loaves of the Saxon monks. Wheat and bread was so valuable that often food rents consisted partly of loaves or grain. Wheat and barley would be planted together so if one harvest failed, the barley which was a hardier grain would survive and save the people from the starvation that was luring behind every tree and every sheaf of corn. But harvest failed plenty of times and so bread was made from dried peas and beans. This must have been an very heavy and unpleasant bread but it would provide plenty of nutrition during shortages. Windmills and communal bread ovens can be found in the Domesday book but as they were owned by the manor or monastery, they were not free to use. 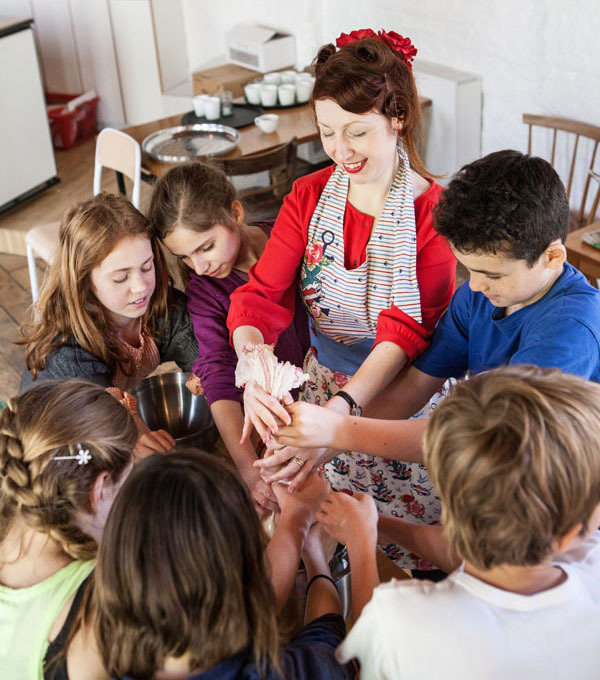 A portion of the grain or bread dough had to be payed for the use of the mill and oven, therefore the peasants continued to mill the grain themselves using a hand quern that must have taken many long hours of hard labour to end up with a small portion of flour. People must have suffered from acute toothache with the amount of grit in the bread. Even the upper classes preferred to soak their bread in their all important sauce and have their meat so succulent that it fell of the bone. Chewing would have been difficult if you would have lost most your teeth in your early adulthood. 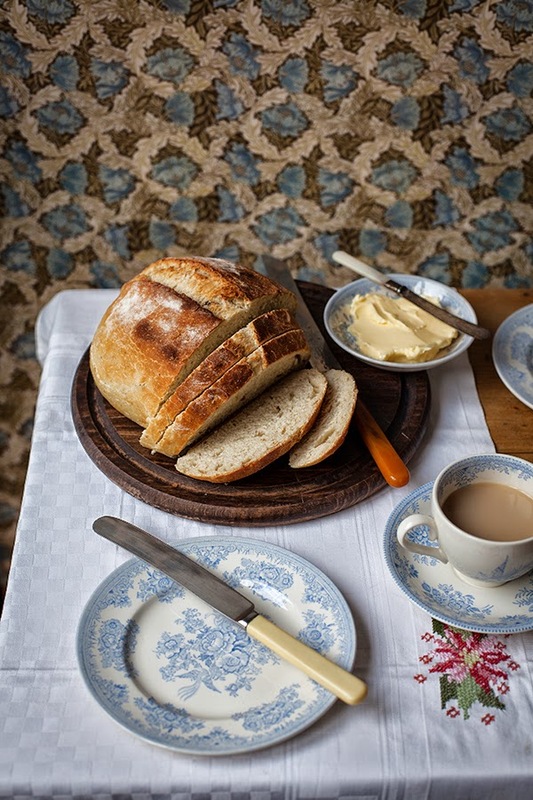 Bread remains a staple food in the centuries following the Norman conquest and the Middle Ages, but recipes for breadmaking remain unknown from that period except for a mention of the process of bread making in a poem. 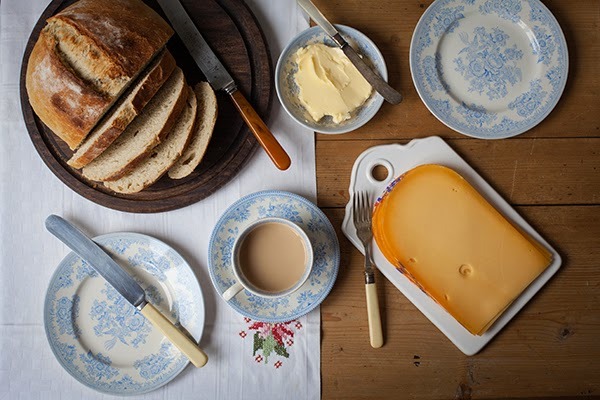 Although today bread still remains the most popular base of our diet, it has also become a source of worry with gluten and wheat intolerances becoming nearly as frequent as famine was in ancient times. 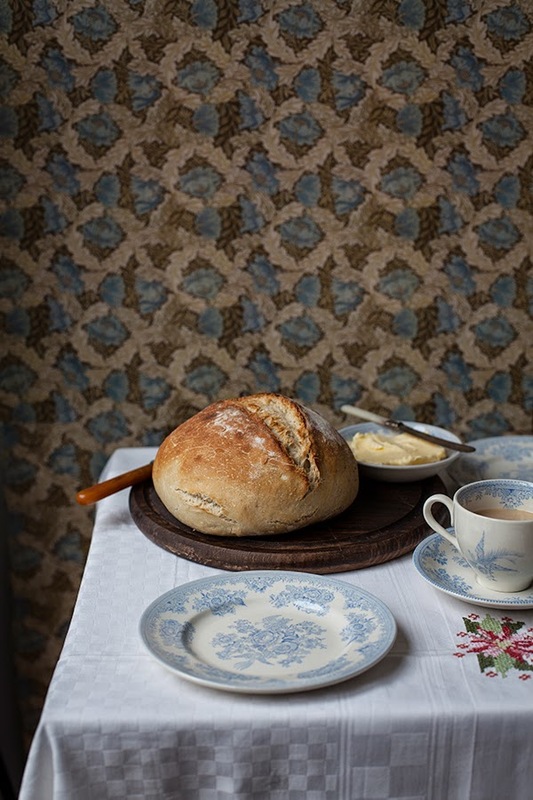 Although bread has been a staple food for centuries, in the early years it was labour intensive to mill the grain by hand so bread would not have been the thing to fill up the bellies of the poor. They would have had a modest piece of bread, with their pottage, or a piece of cheese but not as plenty as we often have it today. Wheat has also been modified to an extent that it is easier to harvest, but the quality is less. The need to have everything fast and plenty changed the way we create bread, with added chemicals to make is rise in a fraction of the time if would actually need to break down the enzymes in the grain which make it harder to digest. There is talk of a modern day ‘bread belly’ with people suffering from the effects from fast factory made bread which has little resemblance to the real bread of our ancestors. In my opinion the modern everlasting, spongy bread, sometimes dyed with malts or molasses to make it appear as a wholewheat loaf while it is not, is a new kind of poverty, the poverty of quality of the most basic of foods. Our daily bread. first boiled and let cool to tepid before adding organic dried yeast. Turn on your oven on the lowest setting to just make it nice and warm, then turn off. In a large bowl or soup pot add the flour and make a well. Drizzle in your oil, salt and sourdough on the edges without letting them touch eachother. When you have mixed your yeast with your water start adding it to the well and make a turning movement with a couple of fingers or the back of a wooden spoon to gradually mix the flour with the water and yeast. Keep on doing this until you get a well mixed dough, now either turn out the dough on a floured surface to knead or do as I do, leave in the bowl and use one hand to pull and twist and push your dough for about 15-20 minutes, constantly turning the dough so you have kneaded it well and the dough is nice and springy. It really is very important to work the dough well. Now put a shower cap over the bowl to keep the dough from drying out. Place in your warm oven – please make sure it is not too hot, just like a nice warm summers day – and leave your dough there for an hour or until doubled in size. I feel my dough rises much better when I do this, I live in a very cool house which is never warm enough to give your dough that cosy feel it needs to feel happy and rise. After your dough has risen for 30 min to 1 hour, take it out of the oven gently and turn it on to full heat. Mine is 250° C. Also place a baking tray in the oven to heat. When your oven has preheated knock the dough back by simply removing it from the bowl onto the floured work surface where you can divide and shape it in two for two loaves, or in four long stretches to get a ciabatta style bread, by that I mean one that is perfect for dunking in soup, to serve with cured meats and cheese and so on. Dust the tops of your loaves with flour and just before you place them on the heated baking tray, score the bread with a very, very sharp knife about 1 cm deep. A stanley style knife works best, other knives are often not sharp enough, and not thin enough to make that all important score. After 10 min turn down to 220°C and leave for 20-25 minutes. These loaves freeze perfectly, when you need them, defrost in a kitchen towel the evening before and preheat your oven to full blast, place a ramekin with water into the oven with the bread and bake for 5-10 minutes. Fresh home made bread in 5-10 minutes, epic. Just think ahead and always make two loaves instead of one. 1 kg of flour is also easier to work with that 500 g of flour. Enjoy and if you bake this bread, show me a pic! I love it when you send me your pictures of your creations! What’s your favourite bread recipe? 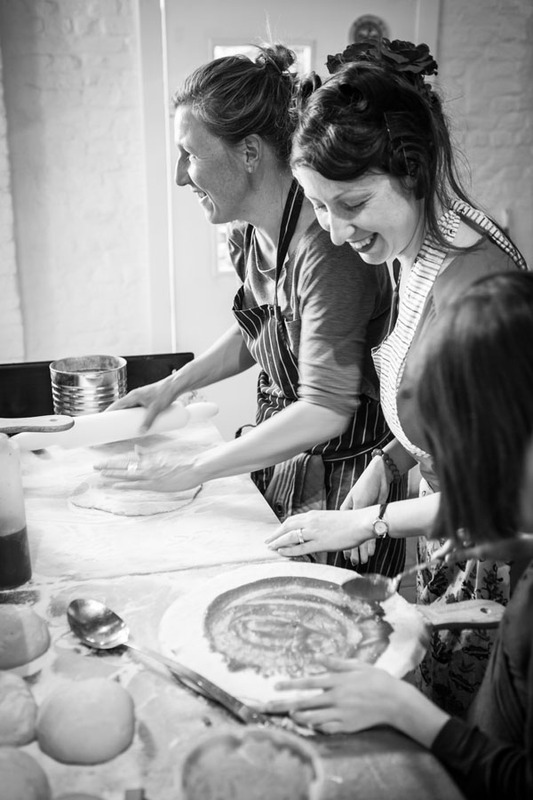 A Day of cheese making, dough kneading, and pizza baking! 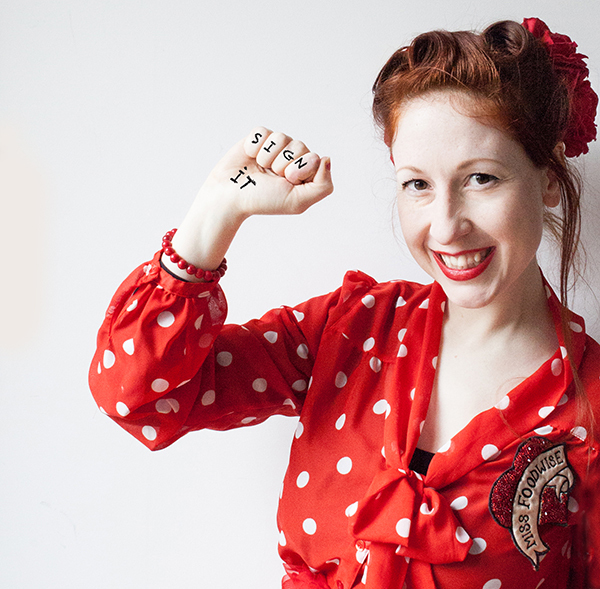 Yesterday was Food Revolution Day and like last year (you can see it here) I got my thinking cap on to see how I could make a difference on this day. Why? Because doing nothing won’t change a thing. Like I said last year and will say again, every day should be a Food Revolution Day, this day is just the moment when we celebrate it, and get other people involved, to spread the word. Knowing so many ‘foodies’ in my line of work, I is my opinion you can’t be a foodie without being a food activist. You can’t love food and not want to be a part of a world wide battle for change in food choices. As a foodie you want the best produce, and the best meat is raised stress free and with respect, the best veggies are local and the best grains are those that are GMO and chemical free. You don’t want additives, colorings and other types of crap that shouldn’t be in food. But is saddens me to see that there are in fact ‘foodies’ who don’t care about where the food came from and how the meat was reared. Or they do care, but don’t care to take a stand and try to educate others about the dangers that linger on our supermarket shelves. Anyway, we can’t all be pro-active. 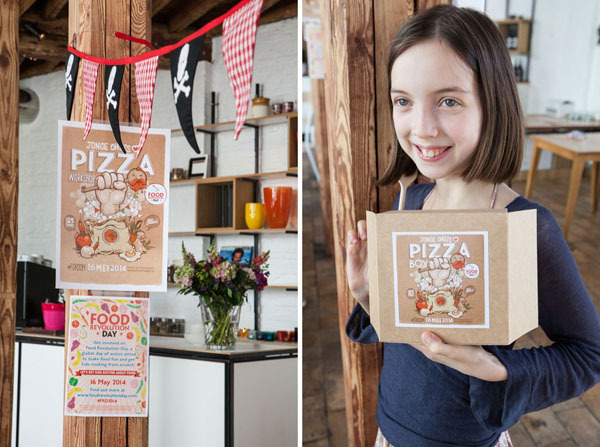 Food Revolution Day is the brainchild of Jamie Oliver, who finds it important to use the fact that he is famous for a good cause by getting people involved in this day dedicated to food education. He has been campaigning for better food education in schools in the UK and USA and a change in school dinners. He has also set up Ministry of Food centers where people can come and have cooking lessons for free, just so that they would be able to cook from scratch for themselves and their children. He also has his Food Foundation charity to raise funds for projects in food education. “It’s time to take action! This year the focus is on children, they are our future after all and for the future’s sake, something has to change in our eating habits. So the plan was, get some kids together! Nine in the morning and it feels like the silence before the storm. 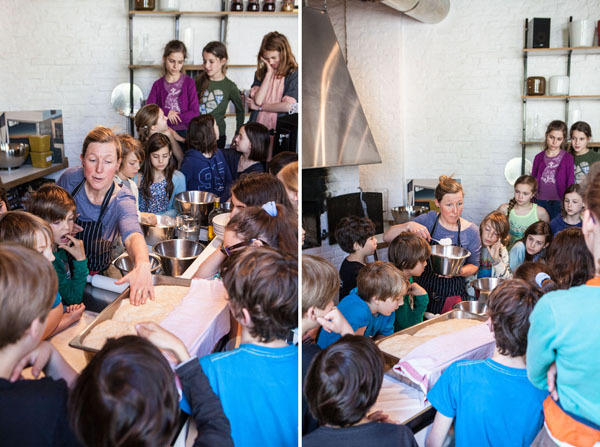 Twenty five 11 year old children are coming to my friends Loes and Krikke’s restaurant to learn how to make cheese and bake their own pizza’s in an old Flemish wood fired bread oven. 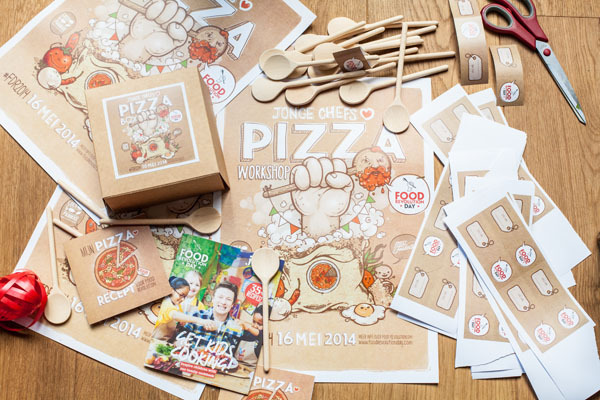 To make it all more exciting for the children Bruno has designed another smashing set of goodies, a box containing a diploma, a recipe booklet and a wooden spoon for them to take home as a prize of the day. They arrive, with a storm, as anticipated. They are eager to learn and we start off with a little talk on what Food Revolution Day is all about. I explain to them that although cooking is so much fun, so many people never cook because they don’t know how to. 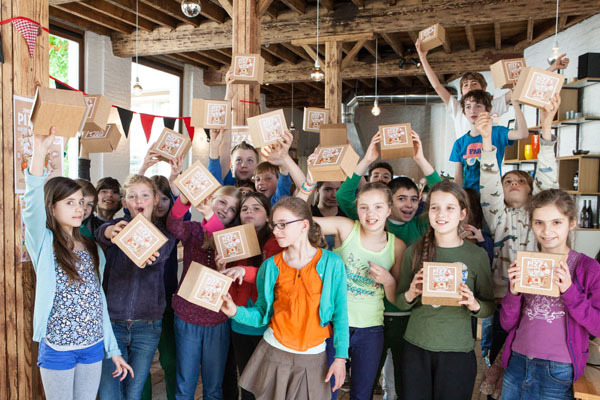 They totally agree that packed meals and processed foods are bad for you and see no sense in why you would buy it – fantastic, these kids understand! All but a few know who Jamie is and think he’s cool for getting us all cooking and breaking a world record by hosting the worlds largest cooking lesson. Cheering and jumping up and down follows when I tell them that the record has been broken. I love these kids. We start with cheese making, we are working with raw milk that came straight from the farm that morning and I explain that this is raw milk because it hasn’t been pasteurised. 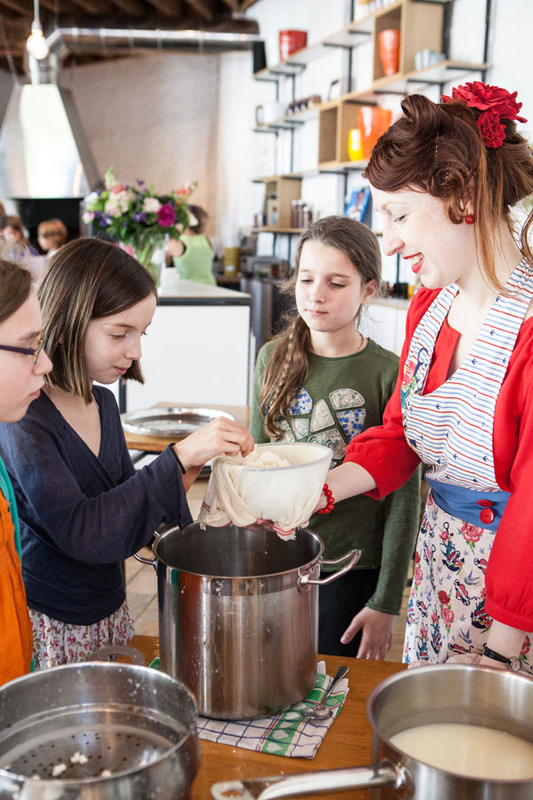 Once the milk has been heated to blood temperature, one of the kids adds the buttermilk, salt and vegetarian rennet and we wait and see what happens. ‘Oohs’ and ‘aahs’ when the milk starts to thicken and true amazement when I show them the pot of milk I made an hour before. The fresh pot goes to rest and we transfer the curdled milk to a bowl with cheesecloth to drain. They take turns wiggling the cheesecloth and then comes the coolest part of squeezing the curds. Twenty five little hands squeeze and squeeze and I stop them before there is no cheese left to squeeze, the kids just love to get hands-on and feel every process. 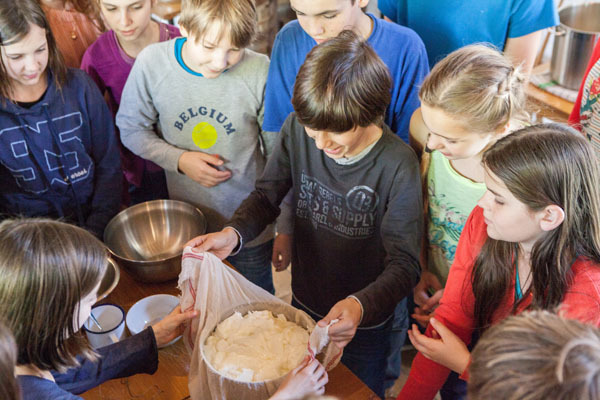 The cheese is now ready to drain further and the children go to my friend Loes who explains them the process of making your own bread and pizza dough. She explains why we are using spelt and the difference between yeast and sourdough. 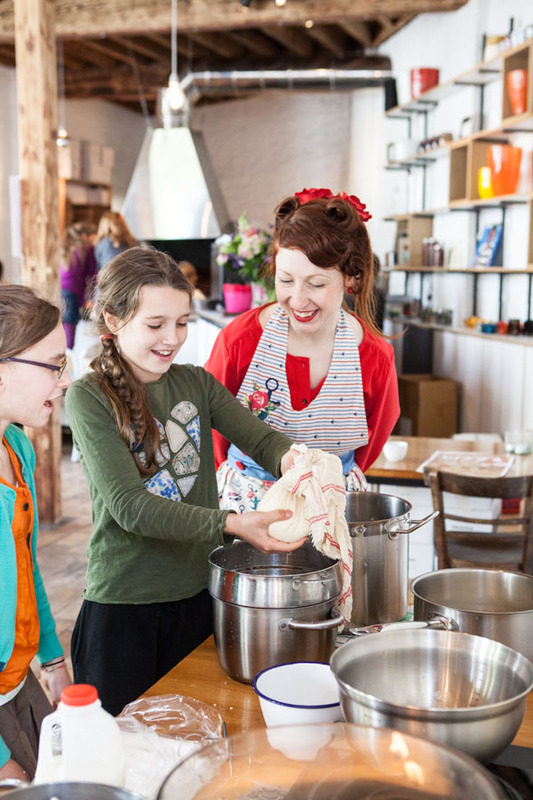 To show them a live organism she passes around her sourdough starter which is bubbling away. The children are eager to smell and look at it as the curious little creatures they are. 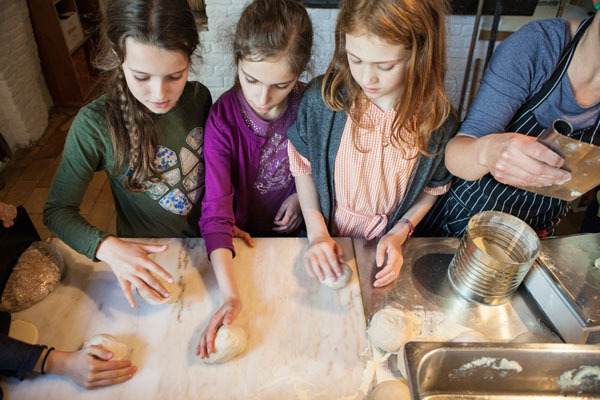 The kneading is fun and they love to put their weight in and they are amazed by the rising little balls of dough. 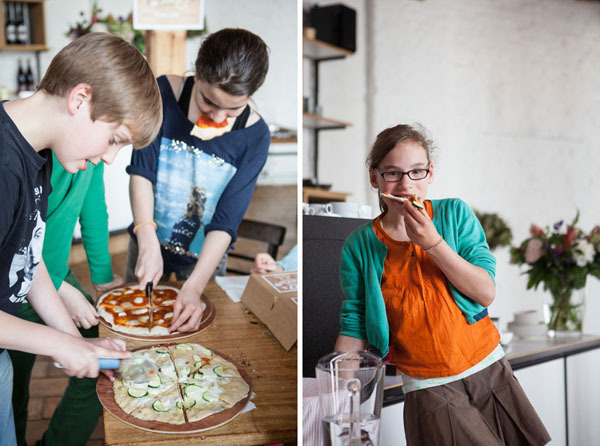 Veggie cutting for toppings happens with dedication and they can’t wait to start creating their own pizza’s. Pizza time shows us how hungry 11 year olds can be and we soon fear we won’t have enough to fill their bellies as they keep on coming back to decorate more pizza’s and devour them in seconds. Luckily we have strawberries straight from the farm with the cheese we made before, to fill those last gaps in their tummies. They go through the lot in minutes and keep on asking questions, these kids are eager to know more and gives me hope for the future. They really get the importance of this and seeing their happy, excited and amazed faces throughout this day fills my heart with joy. 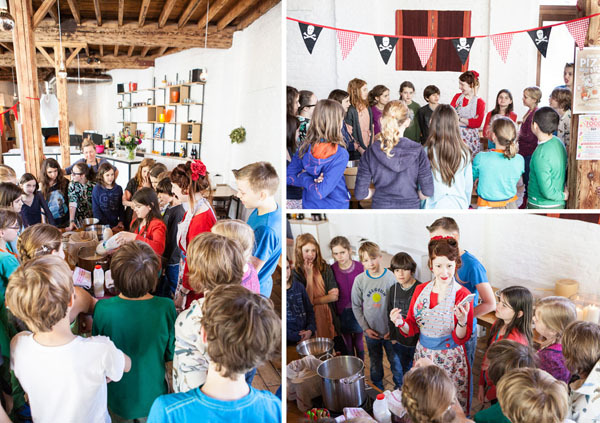 I think I’m going to do more of these workshops with children, I know my partner in crime Loes will be up for it too. The future is bright when you want it to be. Bruno, my rock, for always supporting me in things like this and for the artwork he created for the workshop • Loes and Krikke, my friends who were a part of this last year and again this year. 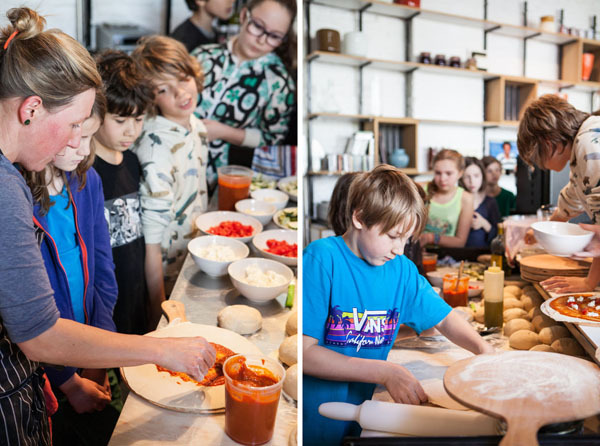 Loes especially for teaching the children the pizza making on one of her most busiest weekends of the year • To the children of this class, you guys were brilliant • To the parents for trusting us to teach their children good things. And last but not least, a huge thanks Jamie, for being there to motivate us to take action and get cooking. You rock, big time.